Custom grips are now available for order in Claro and English Walnut or Curly Maple with lacquer finish and stippling. The fancy grade grips are only available as finished grips. March 1, 2910 – Just arrived and ready for finishing …. they are all available except the one marked “Lige”. 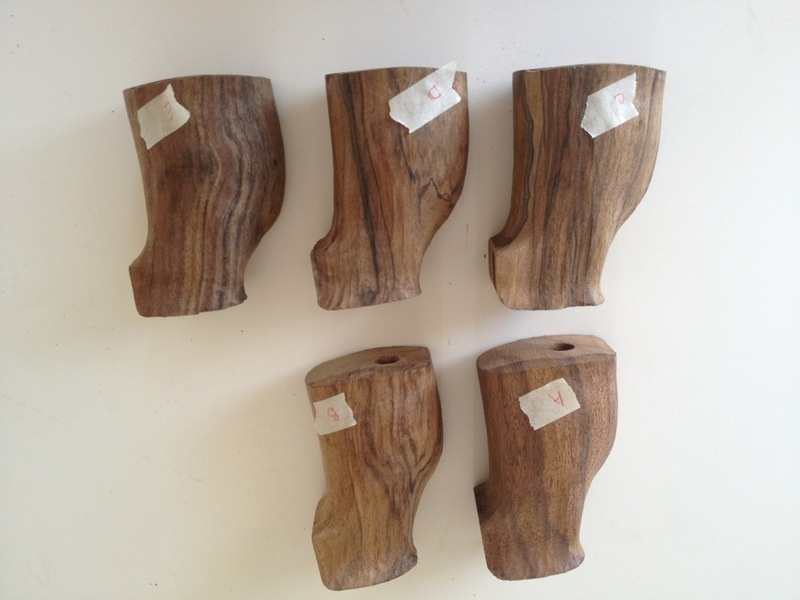 The unfinished grips will be available through Gary Eliseo. The following blanks (#30 -#39) are currently available. Call or email me or leave a comment to reserve your grip. Pictures of left handed grip blanks will be posted in a few days. Fancy finished grips are $199 ea. 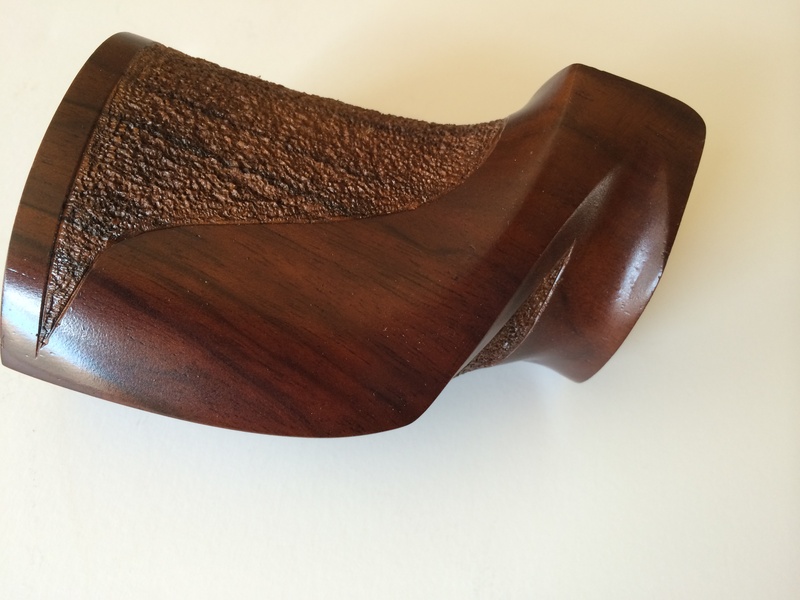 If you would prefer an unfinished grip, see Gary’s site at http://competitionshootingstuff.com/. 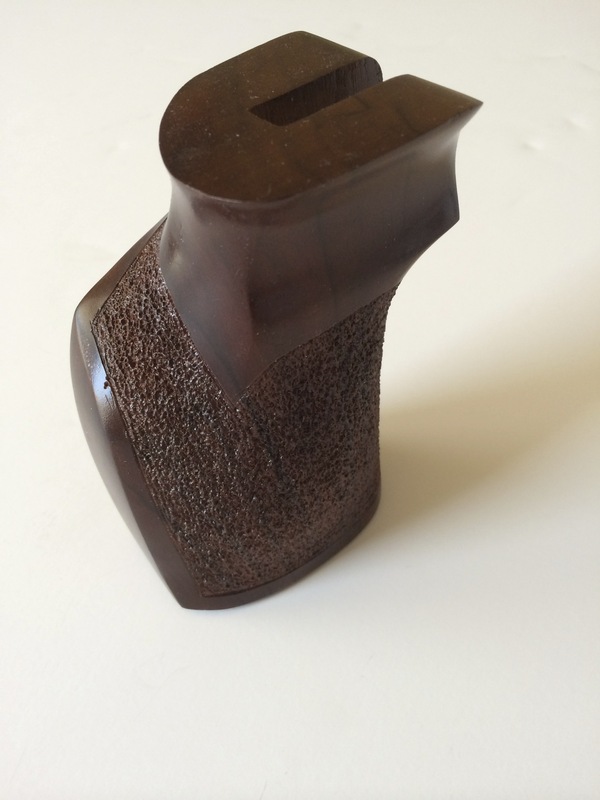 Unfinished grips are ordered from Gary Eliseo at CompetitionShootingStuff. I would think hard on a Grip if a Maple or Myrtle Wood could be had ? I am seriously considering selling my Tubb 2K and getting an Elesio. Your pistol grips look wonderful and I have two questions: 1. Do you in some way fit a grip to my hand or does one buy a “standard sized” grip. 2) What is the price range? 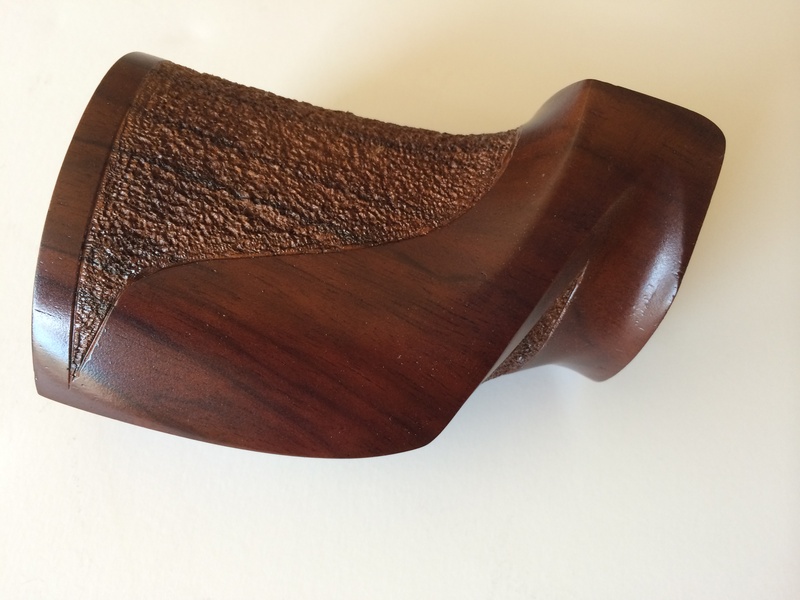 Hi, I want to but a finished Claro Walnut(or similar) stipled grip for my T2K please. Sorry I meant “Buy” not but. Hi Im ready to order the custom grip for my T2K now please. please e-mail me with instructions and wood choices. Sorry, no rubber grips, but I do make Palma grips. Thanks Doan for answering my question. How much do they run for my sig p-229. I don’t do grips for the Sig p-229. I could, but I just don’t have time right now. 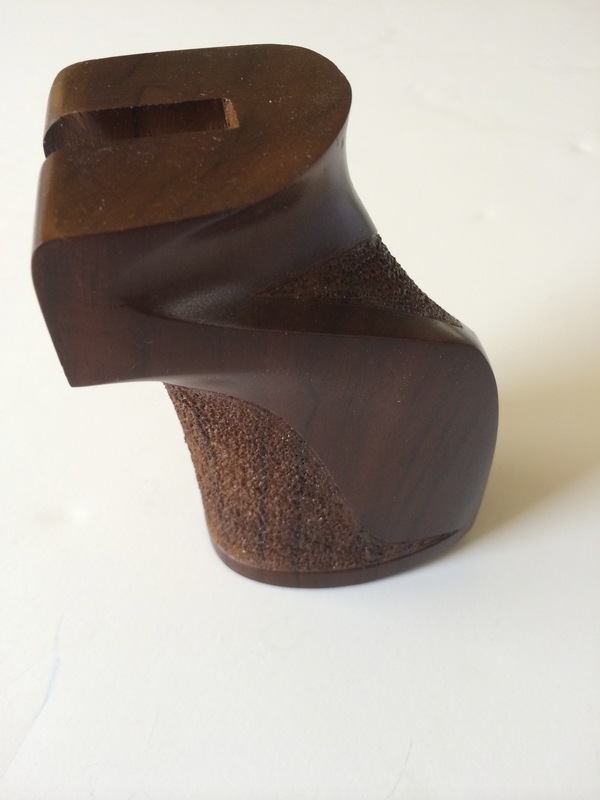 Doan, if I supplied the wood could you make either an ebony or mesquite grip? Yes, this would have to be a one of a kind, and I can do it by hand. I have someone duplicate my grips for me, but I could do an one-of, I would estimate $250 for finished (satin or gloss) with stippling, plus shipping. Sounds good to me, I think i’m going to go with ebony. What dimensions would you prefer for the initial block? I am the proud owner of an Eliseo stock and one of your custom grips. What is the best to treat it with – I currently use Shaftol. can these be made to work with an AR 15? Yes, I ship two different thread bolts with the grip. One fits tube guns and AR15. I have a set of Hammerli 208 1911 style grips that I to have the “mainspring housing” bump removed, like a flat mainspring housing profile. Also once the backstrap is reshaped, stipple the area where the mainspring housing would be. Will you take this job? 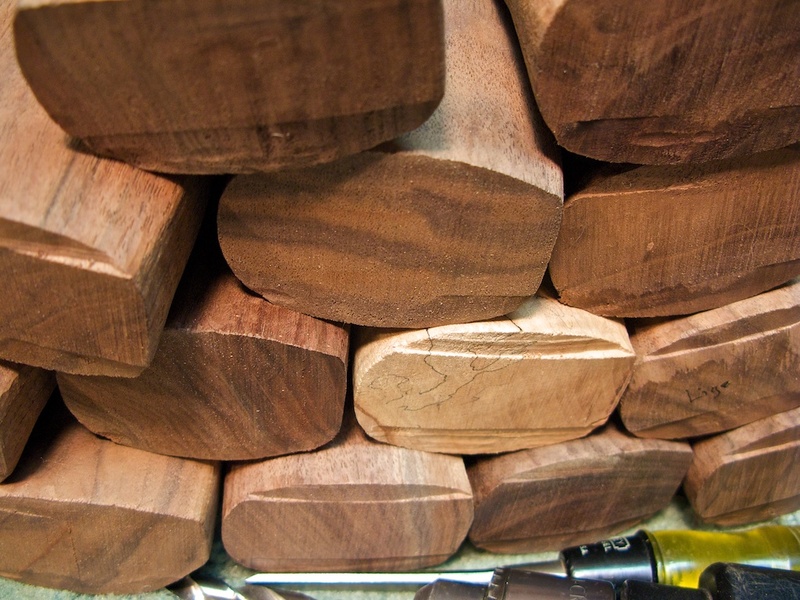 If I shipped you a koa blank, could you make me a grip? I see in the previous comments $250? Hi, Doan. 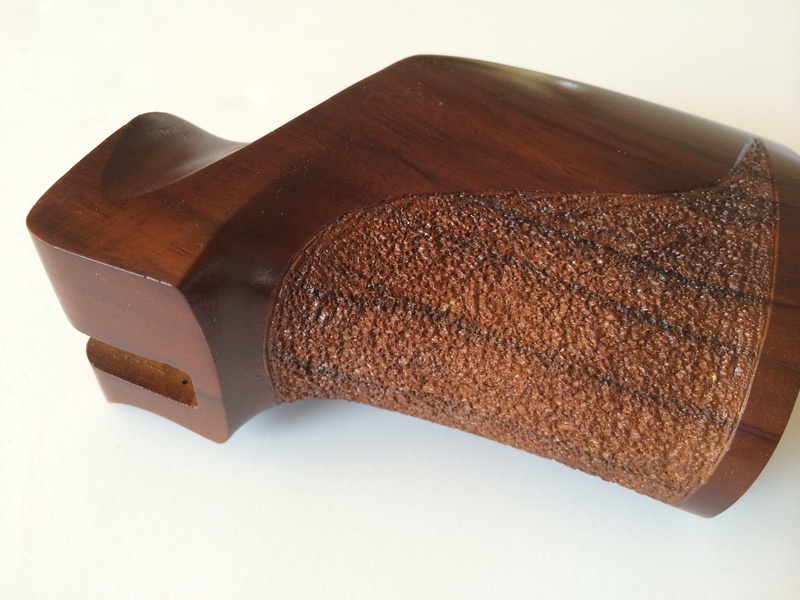 I’d like to buy a grip for my Savage Palma Rifle in an Eliseo S1 chassis. Can you advise what the price would be for a finished one and also what you would need from me to custom fit it? Also what timeframes are you looking at for Completion? Brett- Give me a call 714-457-5566. Thanks! I am looking for an unfinished grip that fits T2k. Would I buy from Gary or from you. Looking for lowest cost wood. I do the finished grips. Please contact Gary for unfinished grips. Thanks.